independent living Archives - Hearts & Homes For Youth, Inc. Hearts & Homes For Youth, Inc. This week Hearts & Homes for Youth’s incredible Social Workers assembled welcome baskets for the young mothers entering our Damamli Independent Living Program! 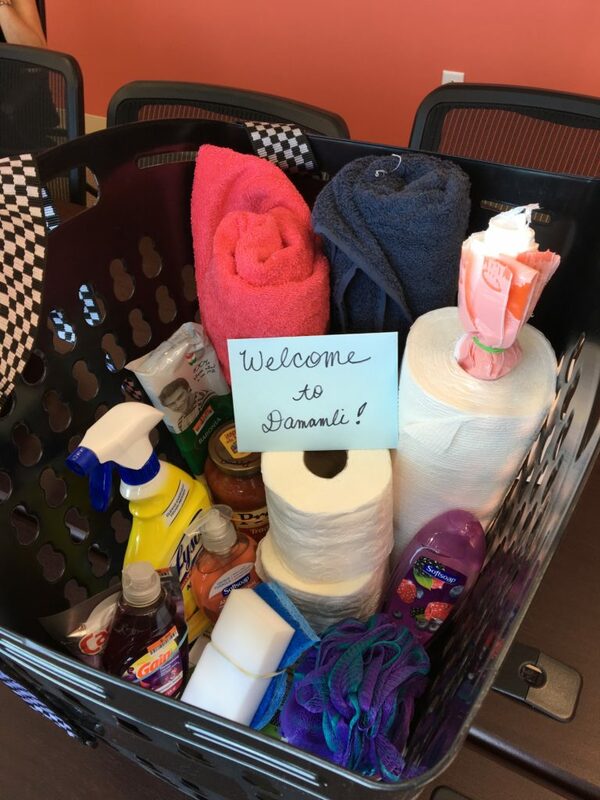 As you can see in the picture, the welcome basket includes cleaning supplies and hygiene products. Life skills training, which includes cooking, cleaning, self care, banking, and more, is one of many supportive services we provide to the youth in our care as part of our mission to empower the youth to build brighter futures. We are grateful to our supporters who regularly donate household items, hygiene products, and so much more that support the healing, growth, and development in the youth in our care! To receive news, insights, and updates from Hearts & Homes, sign up for our newsletter.